Hi everyone! 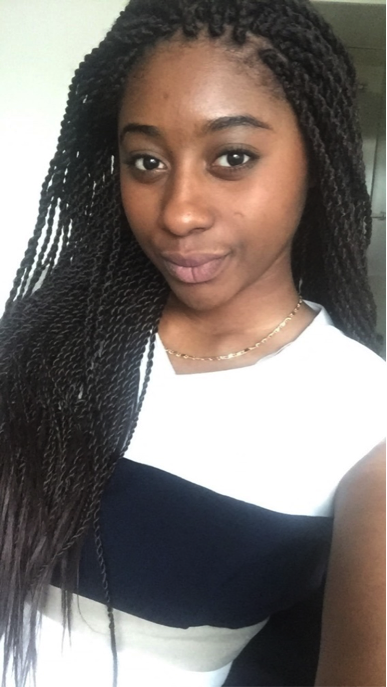 My name is Chelsea Nkansah-Siriboe and I am a sophomore prospective Mathematics and Chemistry double major. I hail originally from the South Bronx but moved to Poughkeepsie, NY early on in my academic career. My parents immigrated to the big city from Ghana during the late 90’s and soon after they arrived, I and my four siblings were born. Growing up between two very different areas dramatically shaped the ways in which I value education. The racial and socioeconomic stratification I’ve experienced in these spaces has led me to believe that success in the academic world, and beyond, is correlated to factors other than individual wit. I came to Amherst with this subtle understanding, however, by mid- fall semester freshman year it was clear that the lack of resources, inadequate support services and a generally unyielding curriculum widened the gap between the successful and unsuccessful students. This semester, I am eager to partner with fellow Amherst students from varied backgrounds in the investigation of these academic disparities and their causing factors. We hope to gather testimonials of current students, alumni, and faculty in STEM/STEM-related fields in order to evaluate trends and strategically analyze recurrent issues. Ultimately, I aim to develop a series of proposals for the sustainable improvement of existing systems and programs at Amherst and potentially beyond.